Captech Logistics offers secure warehousing and distribution services out of its New York location. Our warehouse services include safe and secure storage for your products in a temperature and humidity controlled environment. We are a bonded warehouse located in a foreign trade zone (FTZ) and are HazMat material certified. Combine this with our value added services and we are able to meet the storage, distribution, logistics, freight shipping and receiving requirements of a variety of customers. Logistics isn’t just part of our name, it’s our specialty! Our processes ensure precise verification during the receiving of your products. We can then handle your fulfillment services (such as ecommerce order fulfillment) using FIFO (First In, First Out) or LIFO (Last In, First Out) shipments of goods. Contact us about your needs and we can tailor our process to your unique business needs. Our warehousing, distribution and shipping services are based on the Principals of Lean Manufacturing resulting in precise inventory management and control. Captech Logistics is located in Schenectady, NY. Schenectady, located next to Albany, NY, is part of the Capital Region of New York. We’re convenient to Albany International Airport the NYS Thruway and I-90. And, of course, we’re just a few hours from NYC. All of this makes us the perfect location for your warehousing and distribution needs. But, if another location works better for your business we have the ability to open and service pop-up “hubs” off site. We can work with you to take over the complete inventory management (receiving/release of goods/returns, etc.) or cross docking services for your special projects or needs. 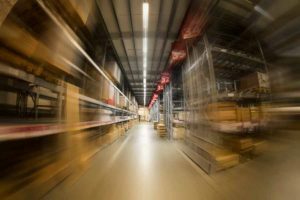 What are your Warehousing and Distribution Needs? Let us handle the logistics while you focus on growing your business.